Now enjoying a rest day in the shade, at Agua Dulce (mile 454.5) on the western edge of the Mojave Desert. 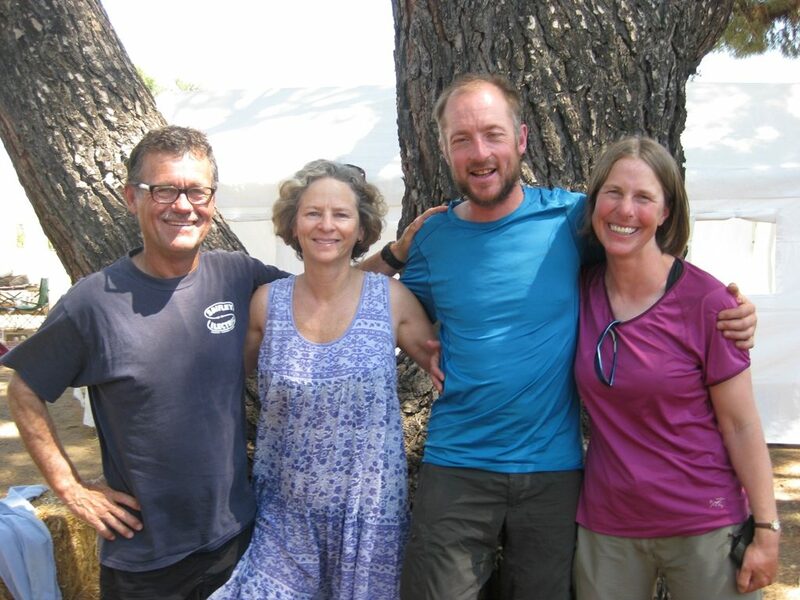 We’re staying with trail angels again, the Saufleys, at what they call “Hiker Heaven” – and it really is. 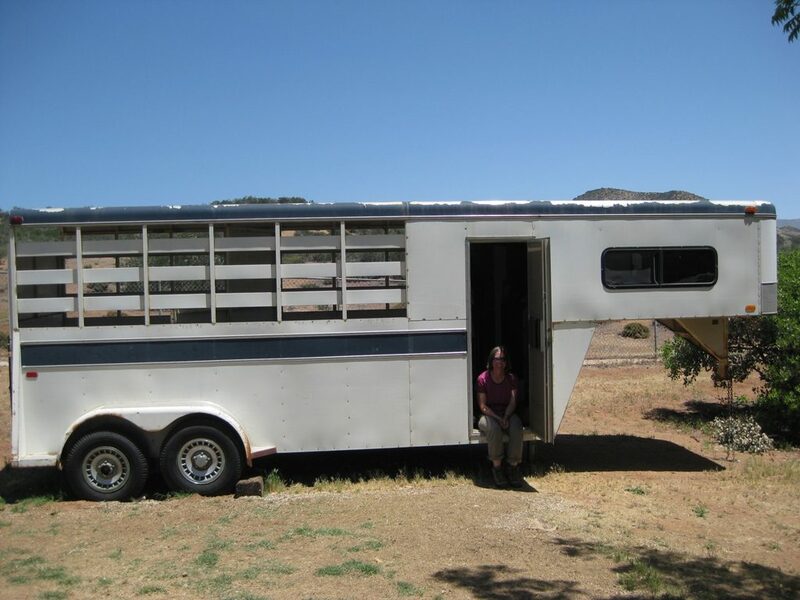 They host up to 50 hikers in tents and trailers in their yard – we’re sleeping in a horse box. Last night we stayed up really late (10.30pm!!) drinking beer with other hikers around a campfire. It was really wonderful to get clean, and relax and enjoy the evening – it’s been a tough section. 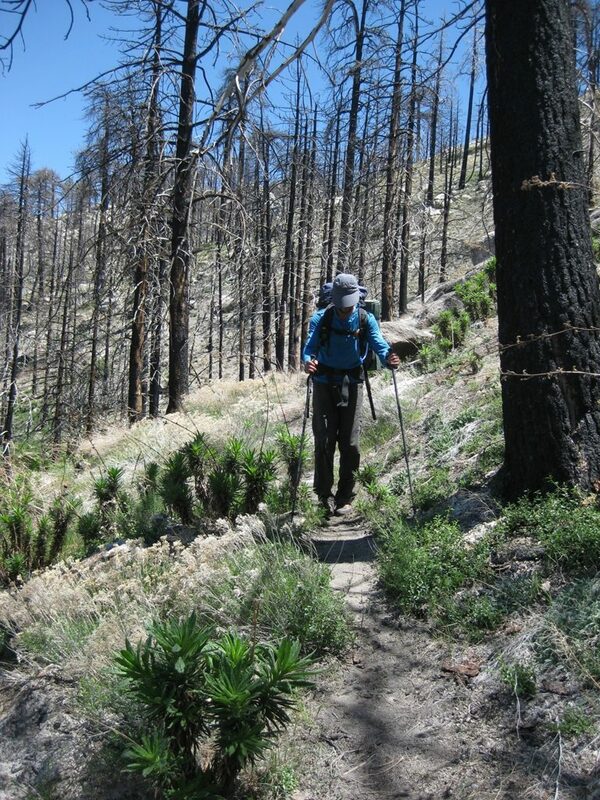 For the most part, the PCT is a proper footpath with clear waymarking, following mountain ridges and offering great views. But since we left Big Bear City 10 days ago, we’ve had four detours to contend with. Next up was the Endangered Species detour, to avoid disturbing some rare toads, 5 miles on tarmac then a side trail, not too bad; then the Station Fire Detour along dirt roads to avoid a huge area destroyed by wildfire. And then, longest of all, the Poodle Dog Bush Detour. Poodle dog bush is a horrible plant which flourishes in burnt out areas, which causes severe blistering rashes which last for weeks. Some sections of trail are covered in it, necessitating the Poodle Dog Dance as hikers try to get past without touching it. But it hasn’t been all bad. 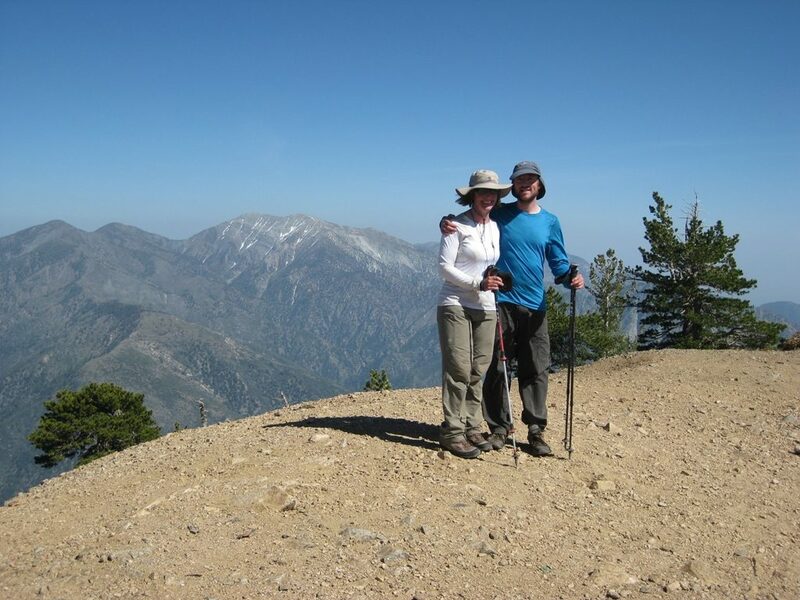 There have been some great views (going up Mount Baden-Powell at 9399 feet was a highlight), some great people (we finally got to meet Lumbar and ChooChoo – Lumbar hiked the PCT with our friend Jim “Milky” Bispham from Kendal in 2007), and a really good stop at Wrightwood. An unexpected bonus of the trail is getting to visit some great little towns, and some really outstanding cafes. Breakfast at the Evergreen Cafe in Wrightwood immoblised us for hours! Planning to leave this oasis of shade at 4.30am tomorrow – there’s a hot dry desert crossing of 24 miles coming up, and we want to make the most of the cool morning hours! hello Tanya – thanks for updating your Blog, keep the news and pictures coming. That Poodle Dog Bush seems very nasty indeed. Sounds liek you are having a grand adventure meeting new people and seeing new places – keep on trekking.